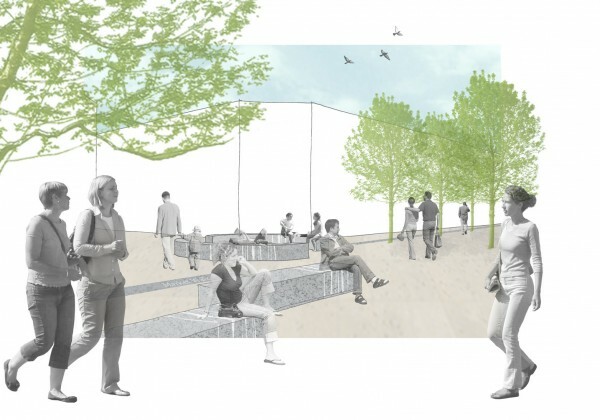 CW Studio have been appointed to design a public realm scheme at the heart of Chorley, Lancashire. The proposed development, which includes retail, office and leisure, will be part of the council’s long term plans to regenerate the town centre and create a desirable shopping location. Full planning permission has been secured for this £12.9m extension of Market Walk. 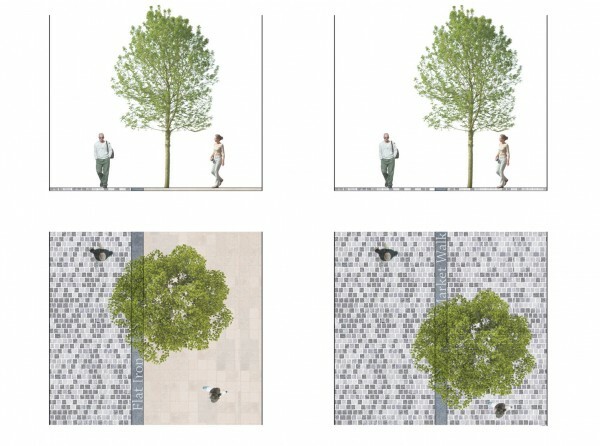 Simple geometry in the landscape design allows trees, seating and paving to create a unified setting for the new buildings whilst linking them into the existing urban fabric. A dark band of granite within the paving reinforces key routes through the site and leads the visitor through the development. Inset text is used at key points in the granite paving band which allows wayfinding signage to be incorporated and become a visual theme. 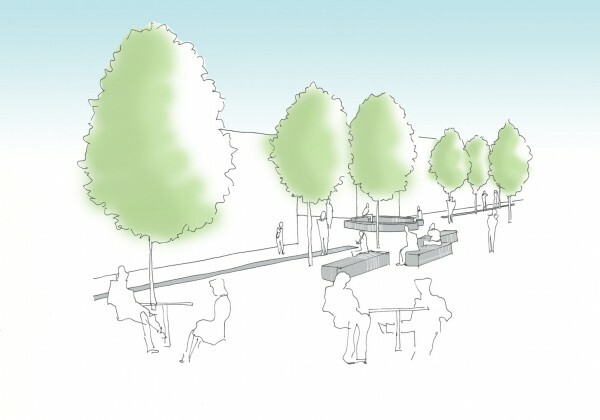 A significant tree planting strategy will strengthen linear routes throughout and around the site, while bespoke granite benches with illustrated motifs will offer an attractive and pleasant place to stop and dwell. A contemplative design is proposed for the Chorley Pals Memorial Garden. An elliptical curve of feature banding and a bench wraps around the memorial, made up of 222 strips of granite paving planks and oak seating slats, symbolically representing and honouring the 222 Chorley Pals named on the memorial. The initial feasibility study was carried out by others.